The Midwest Aronia Association will be hosting the 2018 Annual Aronia Conference March 16th and the 17th. Aronia Berry Services of NE Iowa, LLC is pleased to announce they will have a booth at the event. Please come see Donna and Dean to discuss aronia berries. 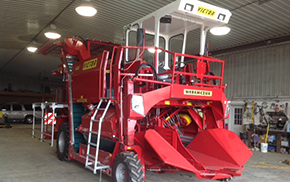 Dean is also an authorized dealer for Weremczuk FMR and Maximum H20. Pronounced: a-row-nee-a mel-an-oh-KAR-puh, The Aronia melanocarpa has become known as a “superberry” in recent years. The little berry is a power house of antioxidants. It is one of the highest ranked nutraceutical foods for its health and medical benefits, including the prevention of diseases. Aronia contain very high levels of anthocyanin and flavonoids – five to ten times more than other healthy berries such as blueberries and cranberries. Aronia berries are firm, one-quarter inch in diameter and produced in loose clusters of 10 to 15 berries at the ends of shoots. The fruit are ripe in late August early September and have a long harvest window of four to six weeks. Fruit can be set without pollination or fertilization. The fruit and foliage are little, if at all, affected by insects or diseases. The Aronia melanocarpa is commonly known as “black chokeberry” and has been used for inks and dyes for hundreds of years, dating back to the times of the Native Americans and early settlers. With the dark purple berry color, it provides one of the world’s darkest natural dyes. As an ornamental, the colorful berries and flowers make this bush an instant center piece in the landscape. The Aronia melanocarpa is a versatile large shrub which is native to the Midwest region in the United States. It is a cold–hardy plant and adapts to many growing areas and soil types. Aronias grow well in full sunlight, but is moderately tolerant of some shade. 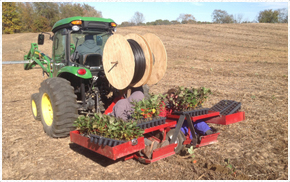 Aronia is a rapid grower, and a nursery size bush or plant becomes an impressive shrub in a few years. Learn more about growing Aronia Berry Plants. Iowa is great land for growing aronia berries, so consider planting aronia berries in Iowa today. We are excited to announce that our 2018 Annual Aronia Conference will be held Friday March 16th and Saturday March 17th, 2018. We will be meeting at the Omaha Marriott, 10220 Regency Circle, Omaha, NE. The location is just off I-680 at Dodge Street with the Westroads Shopping Mal, Regency Shopping, and dozens of restaurants' within blocks. The hotel itself is full-service, with a full restaurant, bar, fitness center, pool and free parking. Registration forms will be e-mailed directly to you closer to the date. If you are a grower, please complete the entire questionnaire with your registration to save time at the check-in desk. We custom plant aronia plants. Call us for more information! Contact us today! 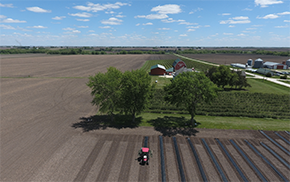 This page features videos of us custom planting, Harvest Days and other videos throughout the year. 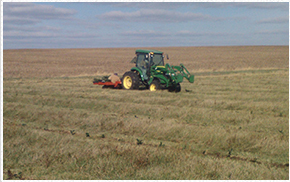 See how Aronia Berry Services of Northeast Iowa can help you. Check out our all of our services. 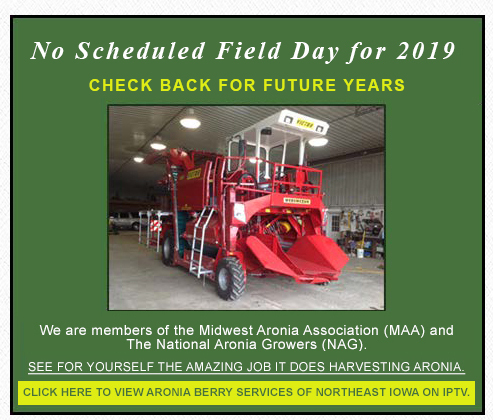 Have questions about Aronia Berry Services of Northeast Iowa? Contact us today!